Why Hasn't Google Voice Taken Off? I have been using Google Voice on and off since its inception, and I have contemplated why. after a little over a year, this service hasn’t become more popular. Most people may not be aware of this, but if you have a Google account, then you have a Google Voice account, and can log in at voice.google.com. The best feature in my opinion is that you have one phone number for all your phones: home, office cell and any others. If you ever change one or all of them, your Google Voice number stays the same thus eliminating another hassle of life. You can also customize what calls ring at what times of the day, such as calls from business associates only being directed to your phone between the hours of 8am and 5pm. Google voice also gives you the ability to personalize greetings for specific callers, screen calls at the same time the caller is leaving their message, transcription of voicemail to text and numerous other features that can be explored in the Google Voice tutorial. Best of all. like most other services from Google. it’s FREE. With all this being said I just can’t figure out why more people are not using the service and I look at myself as being one of the biggest culprits. I really think it is undiscovered and many people think you still need an invite to participate. When Google services launch there is a ton of buzz and press coverage, but after that it’s a bunch of word of mouth advertising. Maybe Google needs to do a better job of advertising the Google Voice service as ironic this sounds considering that’s where Google butters their bread. Another reason I feel this service is underutilized is the simple nature of how we use phone numbers. As individuals and business people we print phone numbers on everything from business cards and stationary, to the back of promotional t shirts and on the sides of vehicles. Converting all these materials that we publish phone numbers on would be a hassle to say the least, and even if you started to convert over when stock of business cards and such was depleted, you would inevitably have your regular number on some promotional material, and the Google Voice number on others. This would no doubt cause confusion amongst business associates and customers alike. I don’t know when or if Google Voice will become a staple of society as their search engine has, but I do know when I do implement the services it works extremely well and has made life a bit easier. 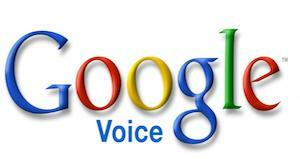 Have you set up your Google Voice account? If so do you use it all the time or just on occasion? If you haven’t set up your Google Voice account, why not? I am anxious to here what everyone thinks about this service from our friends at Google.